Packaging Dimension (WxLxH) 17.5x16x6.5 cm. 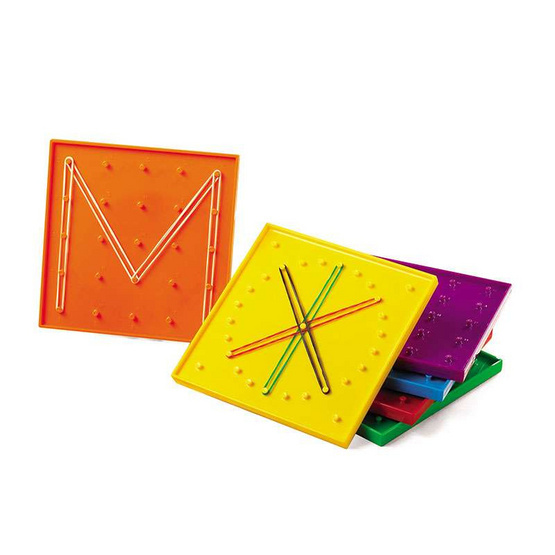 These colorful double-sided 6" (15cm) square geoboards feature a 24-pin circular array on one side and a 5 x 5 pin grid array on the other. Each set includes 6 colors and a pack of 120 elastic bands. 6pcs shrink wrapped.